which invest in specific sectors such as Technology, Infrastructure, Banking, Pharma etc. issued through Initial Public Offerings (IPOs), etc. Fixed Maturity Plans (FMPs) are investment schemes floated by mutual funds and are closeended with a fixed tenure, the maturity period ranging from one month to three/five years. These plans are predominantly debt-oriented, while some of them may have a small equity component. The objective of such a scheme is to generate steady returns over a fixed-maturity period and protect the investor against market fluctuations. FMPs are typically passively managed fixedincome schemes with the fund manager locking into investments with maturities corresponding with the maturity of the plan. FMPs are not guaranteed products. Exchange Traded Funds are essentially index funds that are listed and traded on exchanges like stocks. Globally, ETFs have opened a whole new panorama of investment opportunities to retail as well as institutional investors. markets as well as in specific sectors with relative ease, on a real-time basis and at a lower cost than many other forms of investing. asset value of the underlying stocks that it represents. It can be compared to a stock that can be bought or sold on real time basis during the market hours. The first ETF in India, Benchmark Nifty Bees, opened for subscription on December 12, 2001 and listed on the NSE on January 8, 2002.
instruments as a secondary objective. Franklin Templeton Capital Protection Oriented Fund opened for subscription on October 31, 2006.
on February 15, 2007 and listed on the NSE on April 17, 2007. A quantitative fund is an investment fund that selects securities based on quantitative analysis. However, there is a middle ground where the fund manager will use human judgment in addition to a quantitative model. 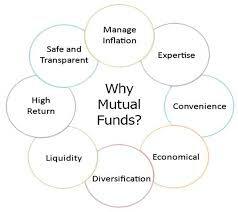 The first Quant based Mutual Fund Scheme in India, Lotus Agile Fund opened for subscription on October 25, 2007. (GDRs). Some of such schemes are dedicated funds for investment abroad while others invest partly in foreign securities and partly in domestic securities. While most such schemes invest in securities across the world there are also schemes which are country specific in their investment approach. Fund of Funds can be Sector specific e.g. Real Estate FOFs, Theme specific e.g. Equity FOFs, Objective specific e.g. Life Stages FOFs or Style specific e.g.Aggressive/ Cautious FOFs etc. Please bear in mind that any one scheme may not meet all your requirements for all time. You need to place your money judiciously in different schemes to be able to get the combination of growth, income and stability that is right for you.